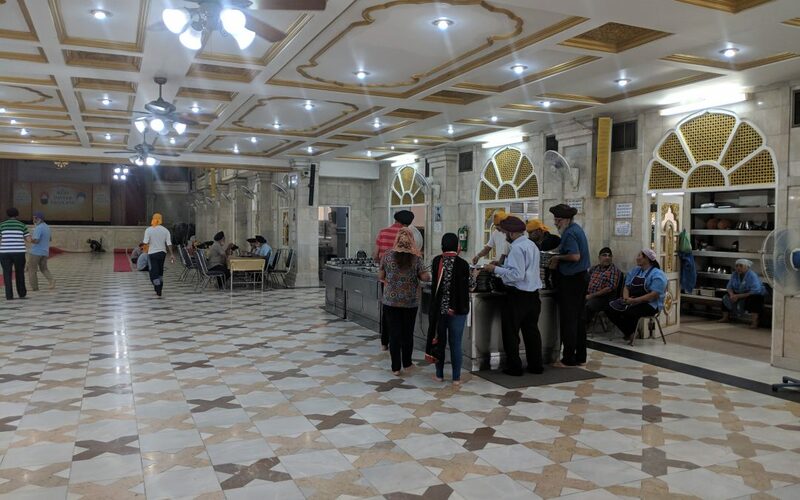 The Guru Singh Sabha Gurudwara in Bangkok serves langar daily for devotees and people visiting the Gurudwara. Langar comprises of traditional Indian vegetarian dishes like chapatis, rice, dall, kadi and a sabji. A couple of vegetarian Thai food options are also included for locals visiting the Gurdwara. However langar often starts a little early and goes on for longer, depending on the ardaas time.You can expect weekdays langar to last till 11-11:30 on most days and as long as 1:30 – 2:00 on Sundays. Gurpurabs and other celebrations follow different schedules.